City Councilman Mike Bonin says "Traffic Reduction coming to Sunset" in a January 27, 2017 newsletter. While pending development projects at both Brentwood and Archer private schools would appear to threaten even MORE traffic, Councilman Bonin says he has negotiated a traffic REDUCTION commitment with Brentwood School, as part of their new Conditional Use Permit to modernize and expand. According to Councilman Bonin, Brentwood School commits to a 12.5% reduction in its schools traffic on day 1 of the new CUP, and a 40% reduction by full enrollment (at its new, larger capacity). 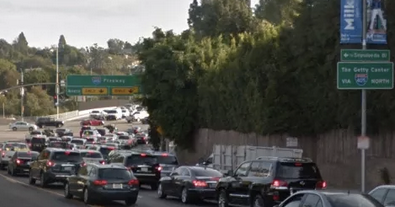 It's hard to believe how this can be true, and few or no details are given on strategies for accomplishing this, but Councilman Bonin says that compliance will be verified with daily traffic counts by a 3rd party monitor and LADOT. The approval hearing for Brentwood Schools new CUP is this Tuesday, February 7, 2:30pm at City Hall (City Council Planning and Land Use Committee). In addition to the Brentwood School agreement, improved signal timing and lane re-striping are planned and per community input, LADOT is evaluating a reversable lane during peak traffic hours. The Emergency Management Department will conduct a test of the NotifyLA registration system this month. The actual notification will require nothing on the part of our community members, however UMCA will be sending a request for feedback after the test, basically whether you received the notification or not, and we request that you take a second to let us know. The test notification is scheduled to go out either 2/16 or 2/23, and the short survey will follow. If you have not yet registered your phone number(s), please do so NOW, by going to notifyla.org. It really takes only a few seconds, and it could save your life. 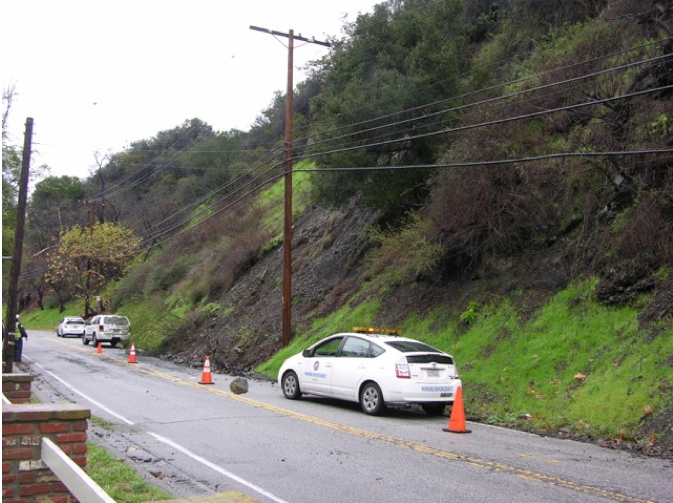 As if we didn't already have enough hazards on Mandeville Canyon Road between cyclists, and cars passing on blind curves, during the rainy season, we also regularly get mud and rock slides. Thank you to neighbors who take it upon themselves to clear boulders and other debris from the lanes, this can be dangerous to do and we appreciate those who take the time, energy and risk to help clear the roads. For the rest of us, be EXTRA careful, particularly around the 'ranch' where slides are a regular occurrence, and even a medium-sized rock can blow a tire. If city services are needed for cleanup, including tree clearance, call 311. Curious just how safe we are in Upper Mandeville? You can now access the crime and trends for our neighborhood at any time by going to www.crimemapping.com. By inputting 90049, you can see a street map of where and what types of crimes have taken place over a period of time (the default is set to a 1 week period, but it can be reset to 4 weeks or custom). 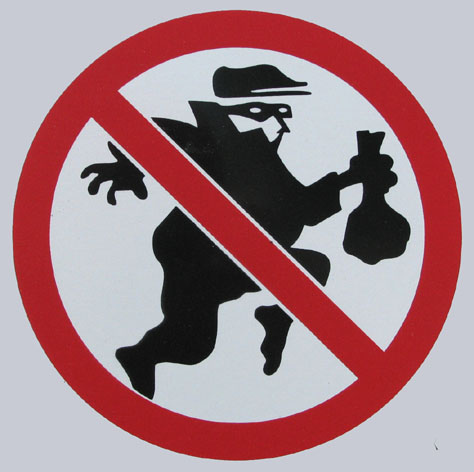 For the last 4 week period (ending Feb 2, 2017), there are only 2 crimes shown in Mandeville Canyon, theft from a vehicle on lower Westridge, and a break-in burglary on Banyan (neither in Upper Mandeville). Of course, you have to report a crime to get it on the map. To report a crime (non-emergency), call the West Los Angeles Police Department 310-444-0744. The slate for the 2017 UMCA Board was unanimously approved at the Nov 9, 2016 board meeting. All board members who were up for re-election were re-installed, with the exception of Johanna Minassian who has enough on her plate with 3 young boys and multiple school activities she chairs. Thank you Johanna for all you have done for UMCA, and we know you will continue to be active in making Upper Mandeville a welcoming and social community. In her place, we give a warm welcome to new board member Maria Vidal. Your 2017 Board are: John Binder, Josh Binder, Karen Bruckner, Vaughn Minassian, Deborah Shaw, Pat Logan, Jim Wright, Scott Chamberlain, Philippe Besson, Ophir Finkelthal, Julia Weinstein, Dan Fried, Whitney Fried, Jillian Kleiner, John Koo, Alice Rudnick and Maria Vidal. RAT POISON KILLS MORE THAN JUST RATS! Remember how the food chain works and pretend this whale is an owl, or a beautiful hawk. By using rat poison to rid your home of rodents, you are also hurting the animals up the chain. Audubon Magazine recommends these alternatives to rat poison: "Safe alternatives include single- and multiple-entrance snap traps, electrocuting traps, glue traps (provided you use them only indoors and frequently dispatch stuck rodents), and even first-generation baits with these active ingredients: chlorophacinone, diphacinone, diphacinone sodium salt, war-farin, and warfarin sodium salt. Then there’s the “better mouse trap.” You take a metal rod, run it through holes drilled in the center of both lids of an emptied tin soup can so the can becomes a spinning drum. Fasten both ends of the rod to the top of a plastic bucket via drilled holes. Coat the can with peanut butter, and fill the bucket with water and a shot of liquid soap (to break the surface tension and thus facilitate quicker, more humane drowning). 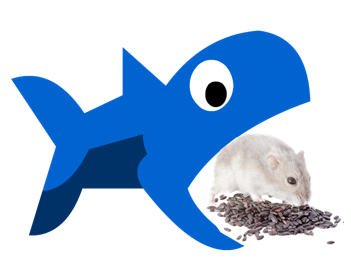 Mice and rats jump onto the can, and it spins them into the water." Last issue we reported on a city council decision to keep granny flats (formally called accessory dwellings) to the original 640 sq.ft requirement, rejecting a suggestion by developers and some homeowners to almost double the allowable size. Well this month we can report that in Upper Mandeville Canyon, even a 640 sq.ft. stand alone unit for granny may no longer be an option. In preparation for new state laws, shortly before the holidays, the City Planning Commission voted on some changes to the City's accessory dwelling unit ordinance that would bring it into compliance with state law. Among other things, the proposed ordinance would limit the ability to build accessory dwelling units in HILLSIDE AREAS - preventing new accessory dwelling units unless completely contained within an existing structure. Presumably, adding a bathroom and renting out a bedroom inside the house will be allowed. Converted garages, it seems, will also be allowed. 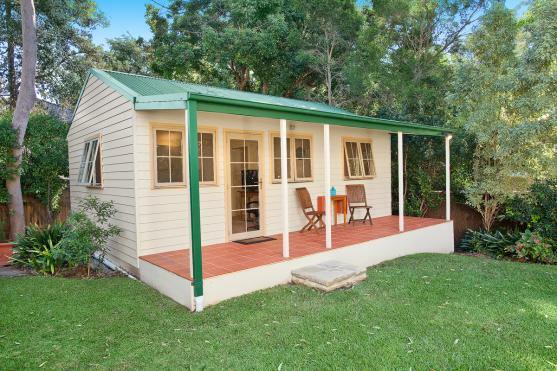 The reasons for banning new “granny flats” in hillside areas are related to safety. Increasing density in Hillside areas makes fire emergencies more dangerous, old septic systems could be stressed, etc. The Planning Commission's recommendations, will next be scheduled for a public hearing before the City Council's PLUM committee. The date for that hearing hasn't yet been set. Saturday, February 11, starting at noon, the Cupid's Undie Run will take place in Santa Monica. From the sponsor: Cupid’s is a “brief” fun-run that takes place in the middle of a BIG party. We encourage undies, but we get that it’s not for everyone – so whether you start a team for your friends, join a team or run solo, just come out, have a blast. Proceeds benefit Children's Tumor Foundation, and the fight against the genetic disorder neurofibromatosis (NF). Link to the event page here. Or connect with their Facebook page here. The event starts at the Victorian, 2640 Main Street, Santa Monica, 90405. Your UMCA membership comes with a lot of benefits, such as an online member directory and discounts to our amazing parties. 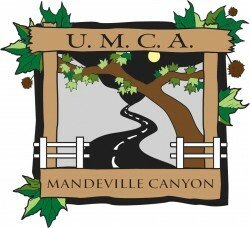 But the most important benefit of joining UMCA is the peace of mind and pride in knowing that you are supporting your community and that your dedicated, all volunteer board has your back and will work around the clock to improve canyon safety and maintain its beauty. Did you know that UMCA dues are rolling now? That means that when you join UMCA your membership will run for one full calendar year from the date you pay your dues. When your year is up, you will receive reminders to rejoin and a link will be provided. So no more worrying if you are a current member or not – just wait for the reminder emails (several will be sent) and then you will know that your dues are due. It's that easy. UMCA is now using new membership software. When you join UMCA, this software will enable you to manage your own profile, receive renewal notices when your membership is due, log in to see a directory of other current UMCA members, and more. We hope every resident in Upper Mandeville will choose to join UMCA. A special thank you to our current members! If you are not a member and would like to join, please click here. And if you have questions about membership, please email info@uppermandeville.org. We would love to hear from you! WE REALLY WELCOME YOUR INPUT AND SUBMISSIONS! The Canyon Echoes Newsletter is a quarterly (approximately) electronic newsletter put out by UMCA. Have any topics you want addressed? Please let us know. Have any pictures you'd like to share that represent life in our canyon? Please send them to us. Poems? We'll print 'em. You can send your questions and submissions to mandevillecanyonechoes@gmail.com. Thanks!